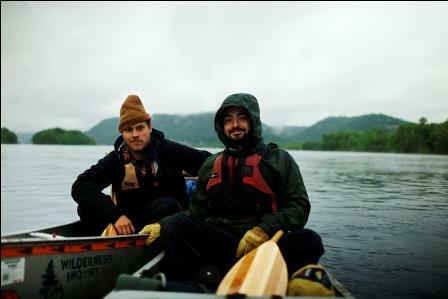 Tag Archives: Can you canoe? A couple of years ago a couple of kindie artists I know went and put out one of the finest folk Albums I have heard in a long time. Fooled everyone in to thinking it was a “Children’s” album and then went on to win a Grammy for Best Children’s Album in 2012. On an album full of great songs (Thousand Star Hotel being my personal favorite) Along for the Ride truly stands out on the CD Can You Canoe? It totally embodies our philosophy that good music knows no age and is one of the finest songs I know of lyrically and musically. 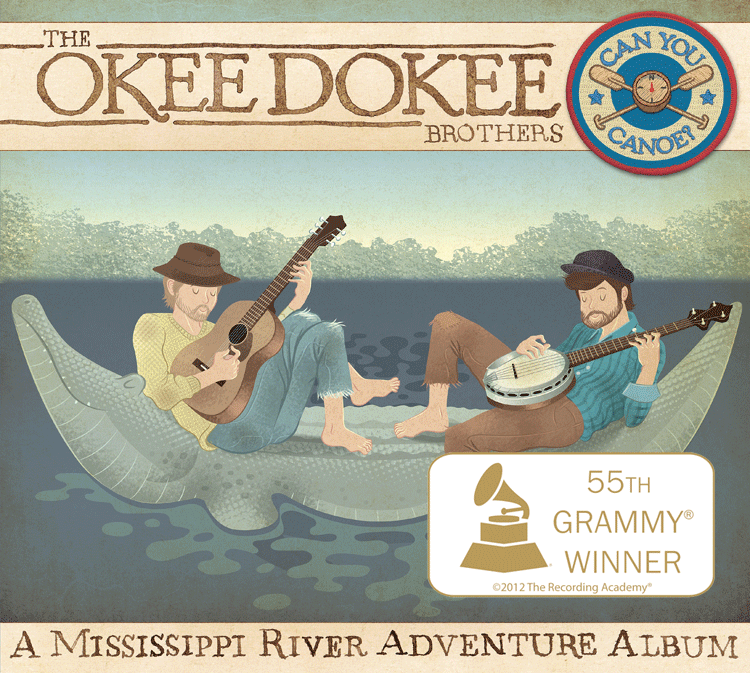 Back in 2011 Joe and Justin went on a trip down the Mississippi to write songs for an album and shoot a DVD. What I and many people don’t know is that they had most of the songs written before they even left. 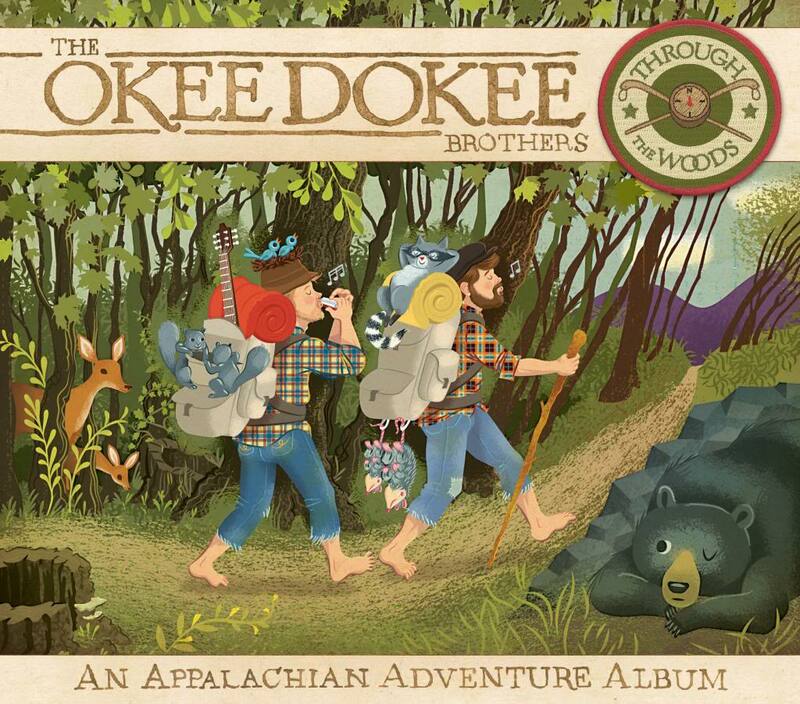 Seems the Okee Dokee Brothers are big fans of preparation. In fact when they are getting ready to record an album they like to have 30-40 songs ready before they even start recording. Both Justin and Joe each commit to writing 3 pages a day in their song journals when preparing to record an album. That’s a lot of writing! In doing this they try to “eliminate the cliché and look for the original.” This also takes off the pressure of them having to come up with ideas while on the trip and instead allowed them solidify the songs they already had and then come up with a new song or two. 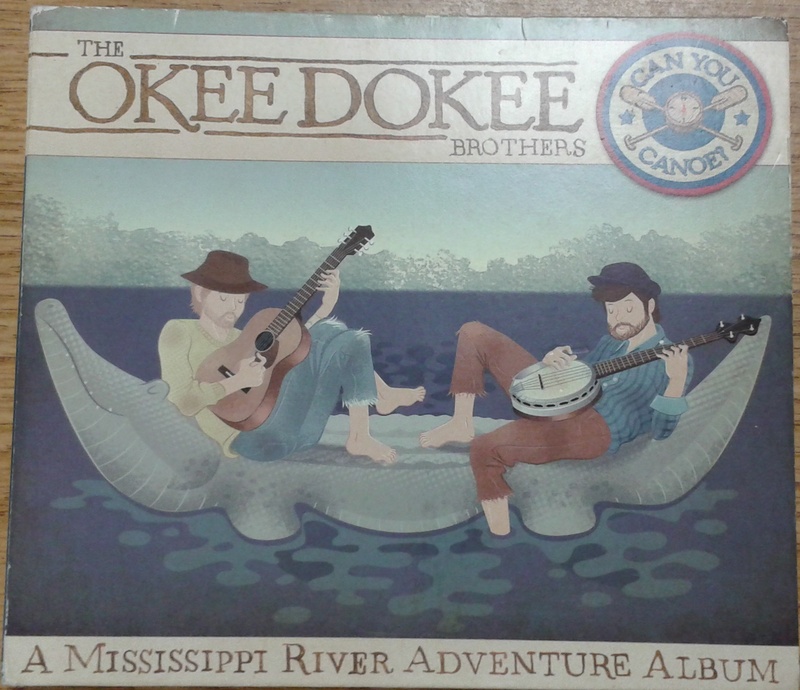 Joe said the trip down the river “really solidified the imagery” in their songs. Especially the case in Along for the Ride when you’re talking about Huck (Finn), Tom (Sawyer) and Becky (Thatcher). 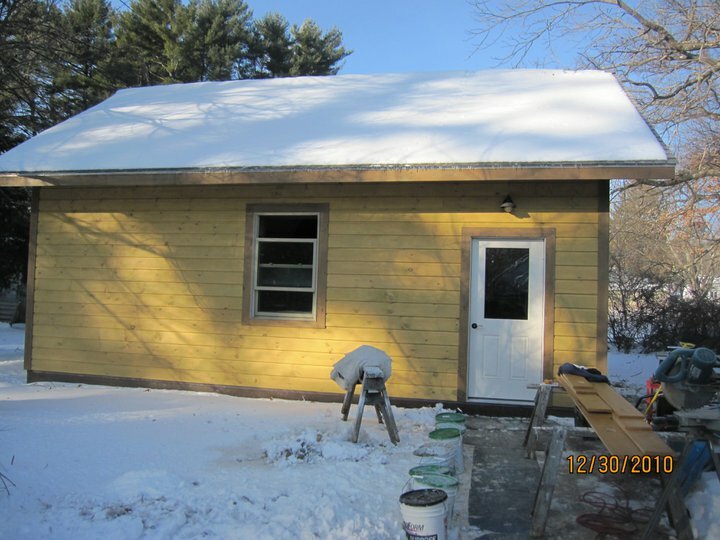 The song itself started out in the Spring of 2010 in Minnesota and didn’t get finished till Winter 2011 in New York. The journey of the songwriting sort of parallels the journey of the song. 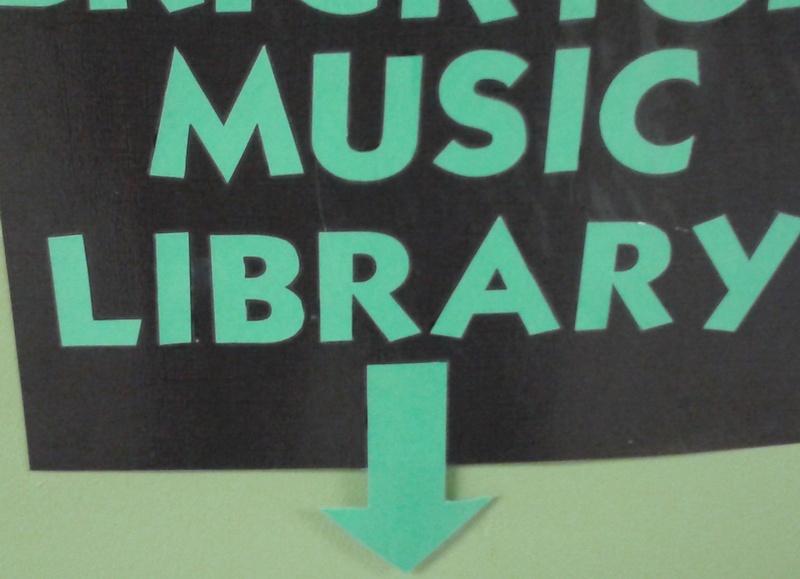 Originally it started it with a completely different music but it didn’t work. Joe (this songs primary songwriter) liked the imagery of Odysseus and Peter Pan and some of the lyrics and the idea of traveling. He was also on a personal journey at the time reflected by the words in the song. The theme of the first version started out much more one sided and apologetic. But the idea of relationships is about being an “active participant” as Joe said. The idea you gotta meet each other half way and not just “Come along for the ride.” So the dynamic of the song changed as did the music. He then bounces this stuff off of Justin as they always do. Working verses, rewriting, finding the heart of the song though collaboration. Once in a while they’ll bring in a finished song but usually it’s through the partnership the song finds a home. Joe talked about writing 100 songs to find the two worthy of recording. To work in your craft with the idea of finding excellence in a song. When they finished the trip and validated the imagery on the songs they brought it to record at No Parking Studio with who else but…Dean Jones (I’m thinking there’s a future interview there). Dean offers them two directions. Go real simple, stripped down acoustic and bare bones. Looking for a buttery sound, minimal but full of sentiment or… Go with the full rock production (different than rock sound) meaning drums, piano, organ, etc. make it BIG which is the direction they chose. They also do a cool trick of playing the verses at one speed and then slow up the chorus parts. This causes the ear to focus even if the listener is not aware making the chorus feel more laid back. Knowing they wanted a female voice on the chorus they ask their friend Rachel Loshak who’s a terrific singer (Joe has a great story about recording with her) and she really helps bring out chorus as well. They get Jeremy Mage on Piano and he does a terrific job of laying the foundation for the song. I really love how the song starts acoustically small and the sound grows bigger as the song grows, finishing with the full band after starting with a simple acoustic guitar. Dean (Jones) said the key was to be fill the song without it becoming cheesy. That it be simple but full. To have great music behind the lyrics and not over shine them. I’d say they succeeded. It’s really a timeless classic of a song which reaches out to listeners of any age. They have the emails to prove it. From Grandparents to 6 and 7 year olds singing along at it’s a magical song that really reaches into the heart of the listener. Don’t take my word for it. Go have a listen for yourself and let your ears go Along for the Ride. 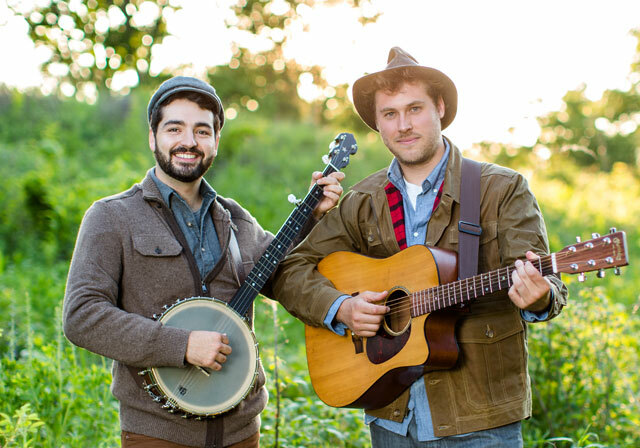 Be sure to catch them live at the Old town School of Folk Music this Sunday, February 9th at 11am. They promise to play the song as well! They also have a new CD and DVD set to be released later this year. What more could you ask for! Go support a kindie artist today! Listen to Along for the Ride here on Spotify and then go buy the CD on their website or the single on iTunes so they can keep on making great records!